Fingerprint Ink Cleaning Products are pleasantly scented and specifically formulated for cleaning fingerprint ink from inking slabs and rollers. 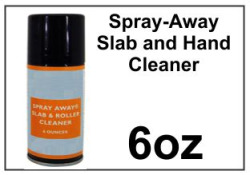 All cleaners are extremely mild to the skin without sacrificing performance. 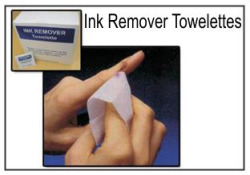 Our ink remover towelettes are Individually packaged and are ideal for ink removal on hands and inking supplies. Please review all cleaners below.